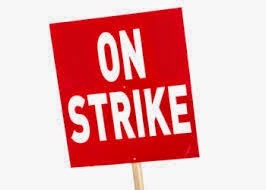 Resident doctors aligned to the Kerala Medical Postgraduates Association (KMPGA) will hold a token strike on Tuesday at all the five government medical colleges in the State, raising various demands. Their demands include urging the government to initiate steps to ensure the Medical Council of India’ s (MCI) recognition for the enhanced PG medical seats at government medical colleges, and to drop the move to hike the pension age of doctors under the Directorate of Medical Education (DME). According to KMPGA state secretary Dr Rahul Mathew, junior and senior resident doctors will abstain from work from 8 am to 1 pm on Tuesday. Dr Rahul Mathew said that they were forced to go ahead with the strike as the Medical Council of India’s decision to not to recognise the enhanced seats in some PG courses would not only result in the lose of those seats, but also put the future of all the students doing those courses in trouble. “This is a serious issue as we will not be able to register with the Medical Council of India even after the completion our courses. “This will prevent us from pursuing jobs in any of the hospitals, or going for higher studies elsewhere. Moreover, the move to hike the pension age will significantly lessen job opportunities for a number job-aspirants,” he said. Earlier, the PG Medical Education Committee of the Medical Council of India had decided not to recognise the enhanced intakes in as many as 33 courses in the specialty and super specialty cadre in the Thiruvananthapuram, Alappuzha, Kottayam, Thrissur and Kozhikode government medical colleges, for which it had given letter of permission (LoP) in 2010, citing various reasons.